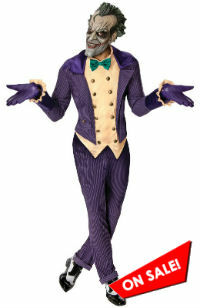 This Halloween transform yourself into one of Batman's most nefarious villains, The Joker. With these make up kits, you can replicate Heath Ledger's Joker clown makeup from the Dark Knight movie with this official Joker makeup kit by Rubie's now for sale for Halloween. The clown face make up kit for Joker consists of a tube white cream (water washable), applicator comb for green hair color solution (washable), a black and red makeup stick, face adhesive and mouth scars. Some versions of these kits also include a bonus Joker wig so take note of the details for the listings. Also, there is a new professional Mehron makeup kit with instructions on how to apply your make up properly. 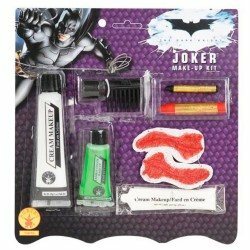 These makeup kits are a good alternative to wearing the Joker masks if you or your kids want to avoid wearing a mask for safety or comfort reasons on Halloween night. 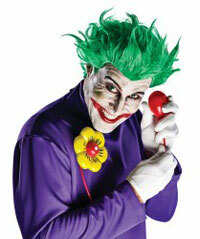 Transform yourself into Batman's charismatic villain with these kits! 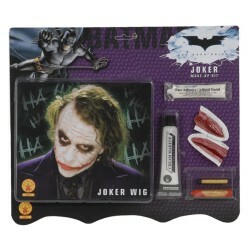 Transform yourself into Heath Ledger's Joker character in the movie The Dark Knight with this make up and wig kit. 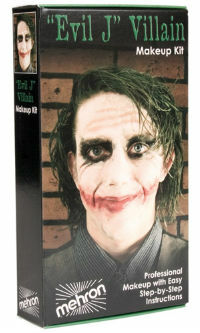 This features a professional Joker makeup kit by Mehron, which includes a step by step instruction on how to professionally apply your joker character makeup. Includes scarring liquid, green hair liquid makeup, white paradise makeup, foam sponge, L.I.P. color cream, and slim pro-black makeup pencil! All for a fair price. Buy this affordable low price makeup kit to create your own Heath Ledger's Joker look for Halloween! 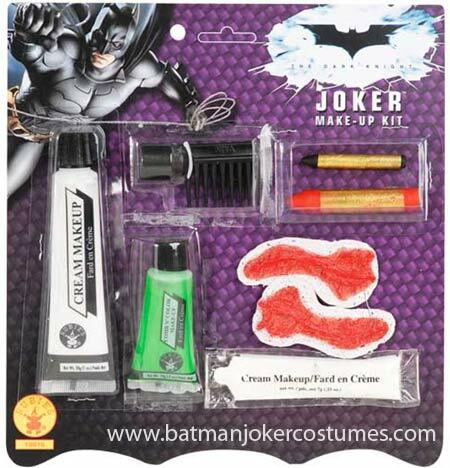 This set includes white face cream makeup, green hair color in a tube with hair comb, black and red makeup sticks, mouth scars and face adhesive. Suitable for either kids or adults. 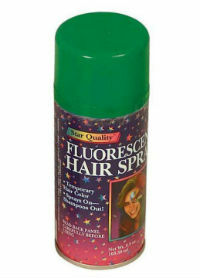 Temporary hair color to color your hair like the Joker's for your Halloween costume. Simple to wash off with shampoo. 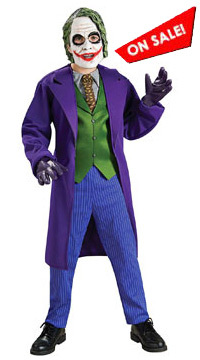 This is the official deluxe version of the Joker Costume inspired by the movie The Dark Knight and features a purple jacket with attached shirt, matching pants, tie, and face mask.